The Druk Path trek in Bhutan is a moderately tough trek from Paro to Thimphu and remains one of the most popular trekking trails in Bhutan. 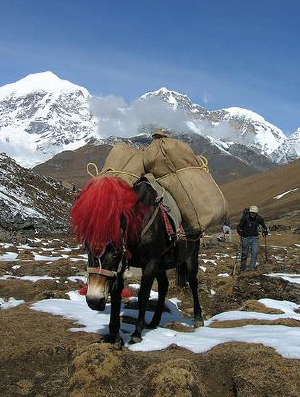 The trek runs up to high altitudes but walking distances between the camps are not too long. The trail passes through thick alpine jungles, rhododendron trees and along placid lakes. Every day, you will drink in fabulous views of valleys, lakes and snowcapped mountains. The sight of mighty Himalayan ranges such as the Gangkar Phuensum and Mount Jhomolhari will exhilarate your soul. Naturally, the sunsets and sunrises are also most mesmerizing. A major highlight of the trek is the halt at Phadjoding monastery, from where you will enjoy spectacular views. At the National Institute of Traditional Medicine, grab the opportunity to interact with a renowned traditional healer. 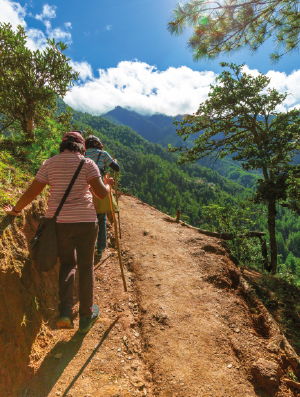 The trekking trails of Bhutan are legendary. The beauty of jungles, streams and mountains will permeate the very core of your being. Top highlights include Tiger’s Nest, Phadjoding Monastery, and the alpine Jimi Langtso Lake to name just a few. Fly by Druk Air to Paro. If the visibility is clear during the flight, you will get breathtaking views of the Himalayan peaks, including Mt. Everest, Jichu Drak and Jumolhari. You will land in the beautiful valley of Paro, located at an altitude of 2,195 meters and our representative will meet you at the airport. Take a short drive to your hotel and check-in. Spend the afternoon acclimatizing and sightseeing. 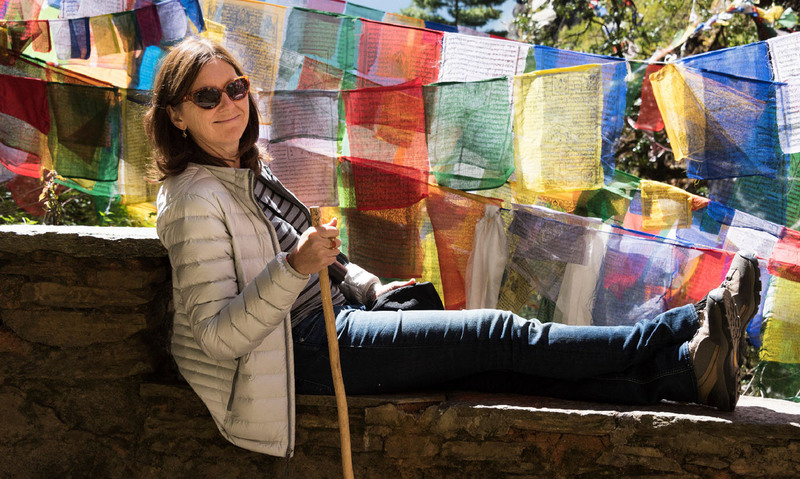 Paro is unbelievably picturesque and you have the entire day to relax and enjoy in this Himalayan paradise. Overnight in Paro. After breakfast, visit the National Museum (Ta-Dzong), earlier a watchtower for the Rinpung Paro Dzong. It was converted into the National Museum in 1968 and stands on a strategic site atop a hill overlooking the Paro valley. On the way back, visit the Paro Rinpung Dzong. Dzong means fortress and there are about 20 of them across the country, mostly built during early 17th century. They serve as centers of district administration and also as monastic schools. Keeping with old traditions, the dzongs are equally shared. Historically, these Dzongs served as strongholds against Mongol and Tibetan invasions. A short walk down the walled flat stone pavements will take you to a beautiful ancient wooden bridge with shingle roofing. Both the entrances have a guardhouse. In the evening, stroll through the picturesque Paro town. Overnight in Paro. Drive to Ramthongkha and then hike to the viewpoint of Taktsang, also called the Tiger's Nest. This magical monastery clings to a sheer cliff at a vertiginous height of about 900 meters above the valley floor and you will have to follow an uphill trail to reach it. It’s a deeply revered Buddhist pilgrim site and beyond the viewpoint, a narrow and steep path climbs to a point above the temple, from where walkers descend to the building itself. The main deity of Taktsang is Dorje Drolo, the wrathful avatar of Guru Rinpoche, also known as Padmasambhava. It is said that he flew here on the back of a tigress, a manifestation of his consort, Yeshi Tsogyal. Here he meditated in a cave and brought the teachings of the Buddhist Dharma to Bhutan. There is an image of Dorje Drolo standing next to a tigress inside the temple. 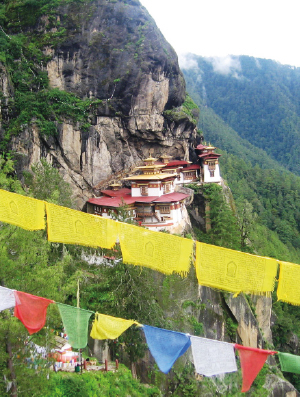 There are quite a few sacred sites at Taktsang and also some meditation caves on the cliffs above. You may also meditate here before climbing down. There is a teahouse nearby, where you can have lunch or a snack. In the evening, visit a farmhouse in Paro. Overnight in Paro. 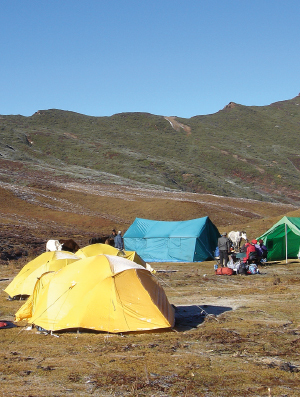 Today, you will go on a short trek and the trail is quite gradual till the camp. 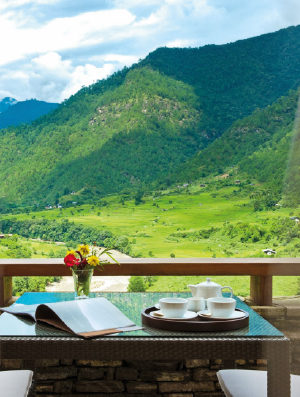 If the weather is clear, you will get excellent views of Paro Valley and the snowcapped mountains beyond. Jili Dzong is at an elevation of around 10,300 feet and has long been serving as a resting point for travelers moving between Paro and Thimphu. Overnight near Jili Dzong. 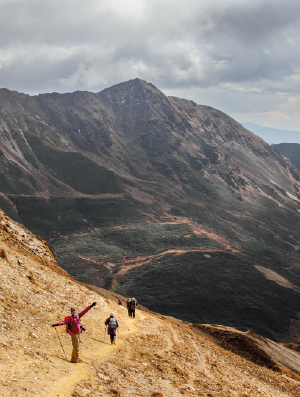 Today, you will gradually climb for about a couple of hours and the trail will pass through dense alpine forests. You will also come across short rhododendron trees and you may also spot yaks near your camp. Overnight in Jangchulakha. Continue your ascent today! The trail traverses ridges with an average elevation of 10,000 feet, with some challenging rocky areas. You will cover around 11 km on the way to Simkota at an altitude of 12,700 feet. By lunch time, your trekking party will break above the tree line to the alpine Jimi Langtso Lake. The campsite is close to the Lake Jimi Langtso. Overnight near Lake Jimi Langtso. The trail runs along dwarf rhododendron trees and the Lake Janetso. You may come across the camps of yak herders and peep into Bhutan’s nomadic lifestyle. Teeming with brown trout, Lake Simkota is one of the numerous glacial lakes you will pass by. Also, enjoy fine views of Jumolhari in the background at an altitude of around 4,100 meters. Overnight near Simkota lake. Today you will start from Simkota and end the day's journey at Phajoding, a downward trek all the way for a distance of roughly 10 km. The trail will lead you by dwarf rhododendron trees and past the glacial Lake Janye. On the way, you may come across yak herders and if the weather is clear, you will be rewarded with spectacular views of Mount Gangkar Punsum – at an elevation of around 7,570 meters, it is one of the world’s highest unconquered peaks. 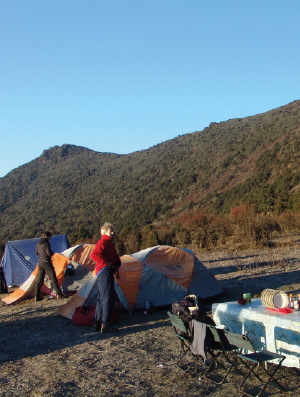 You will strike camp near the monastery of Phajoding overlooking the Thimphu Valley. Overnight near Phajoding. Enjoy a downhill trek today to the capital of Thimphu at 7,500 feet. You will pass through beautiful blue pine and rhododendron forests. On the way, halt at Motithang Takin Preserve to see the takin – the national animal. 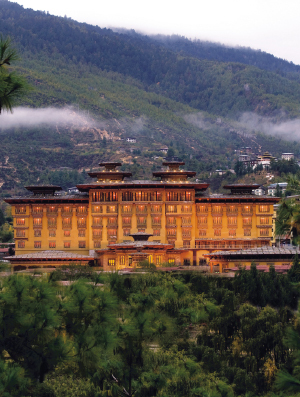 In Thimphu, enjoy a nice hot shower at your luxury resort – Amankora Thimphu and Taj Tashi are recommended five-star hotels. 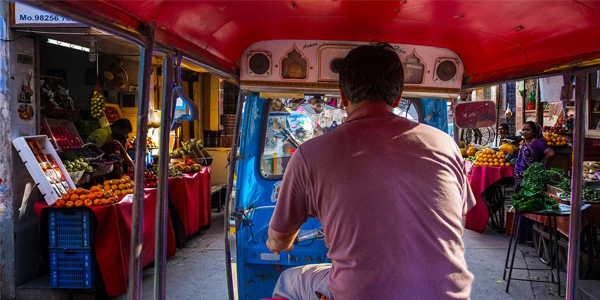 Explore the charming shops and narrow streets of Thimphu in the afternoon. Overnight in Thimphu. 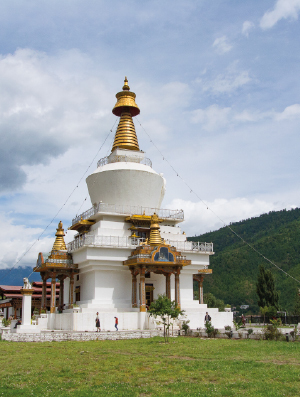 Today, you will visit the National Memorial Chorten and other sightseeing attractions. It was built on the orders of the third king, His Majesty Jigme Dorji Wangchuck and serves as a monument to world peace and prosperity. The construction was completed after the king’s death and also serves as a memorial to him. The paintings and statues here offer deep insights into Buddhism. Now, head to the National Library. It’s a treasure trove of Buddhist texts and manuscripts, some of them are several hundred years old. Also, there are modern academic books, largely on Himalayan culture and religion. At the Institute for Zorig Chusum (commonly known as the Painting School) you will see the works of students. They pass only after completing a six-year course on the 13 traditional arts and crafts of Bhutan. Visit the National Institute of Traditional Medicine and enjoy the rare experience of interacting with a renowned traditional healer. Your last stop is at the Folk Heritage and National Textile Museums. Both offer fascinating insights into Bhutanese culture and way of life. At the government-run Handicrafts Emporium, you will see lots of beautifully hand-woven textiles and other crafts. It also boasts a small but enviable collection of books on Bhutan, Buddhism and Himalayan culture. Overnight in Thimphu. 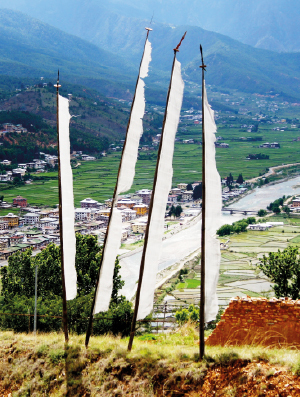 Today, you will go on a day trip to Punakha and Wangdue Valley. 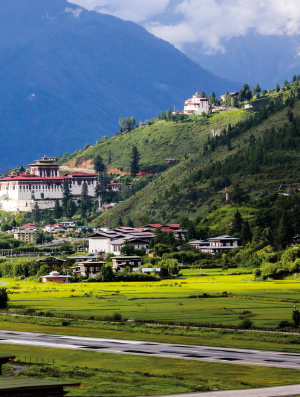 Punakha is the former capital of Bhutan and is around 80 km from Thimphu, while Wangdue is around 16 km from Punakha. Punakha is the former capital of Bhutan. 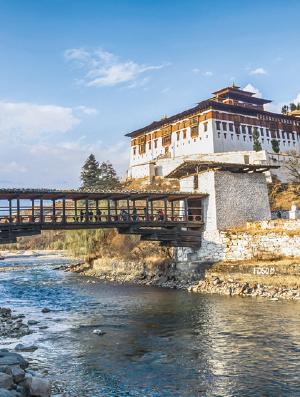 The Punakha Dzong serves as the winter residence of the monastic body and it’s Chief Abbot. The huge fortress is sandwiched between two rivers known as Phochu Mochu (Male Female River). Drive back to Thimphu for the night. All departure formalities will be completed well in advance and you will be assisted by your guide. After an early breakfast at the hotel, it will be time drive to the Paro Airport for your flight back home.